Anna May Purcell, a longtime Bucks County resident, passed away peacefully on Sunday, January 28th, 2018 at Neshaminy Manor. She was 75. Anna May spent over 20 years as the Activities Director/Volunteer Coordinator at Neshaminy Manor where she was able to pass along her love of singing, music and arts and crafts with the residents. She also was a frequent editorial contributor to The Intelligencer Newspaper on community affairs topics. Earlier she enjoyed teaching at Jenkintown Day Nursery School and spending summers in Lewes, Delaware. Anna May was an active member of Warrington Fellowship Church. Anna May was a graduate of William Tennent High School and attended Temple University. Anna May is survived by a son Jeffrey and his wife Laurie and two grandchildren, Matthew and Emily. She is also survived by three brothers, William, Harry and Stephen Purcell. Anna May’s memorial service celebrating her life will be held at 2:00 p.m. Friday, February 2, 2018 at the Shelly Funeral Home, 1460 Easton Road, Warrington where the family will receive friends after 1:30 p.m. until the time of service. 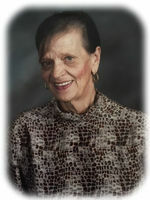 Interment in Pine Grove Cemetery will be held privately where she will be buried alongside her mother Edna D. Purcell. In lieu of flowers, memorial contributions to Warrington Fellowship Church, 2233 Bristol Rd, Warrington, PA 18976 or to Abington Friends Scholarship Fund, In Memory of Anna May Purcell, 575 Washington Lane, Jenkintown, PA 19046 would be appreciated.